This Switching DC Power Supply is a compact 100 Watt power supply delivering 1-20V and 0-5A from its three output terminals. 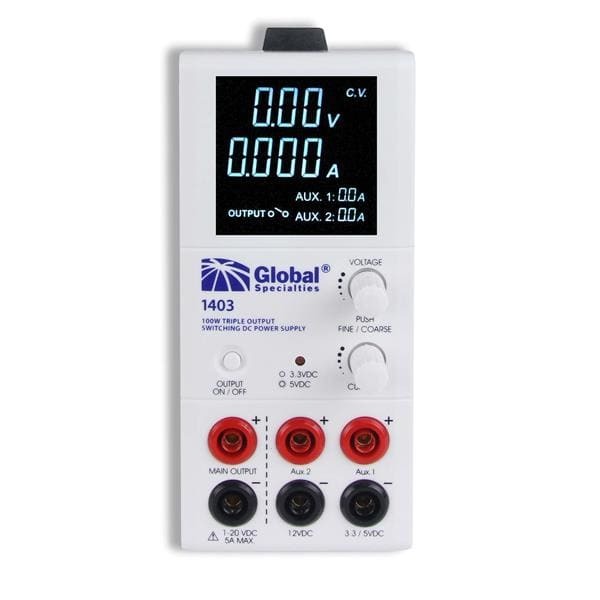 These DC power supplies feature constant current or constant voltage modes with automatic crossover making them ideal for troubleshooting circuit boards or devices which require two or three different input voltage ranges. Typical applications for this compact power supply include educational labs, technical schools, internal training facilities, and hobbyists.